Someone once told me that Gwinnett County is for families, not young, singles like myself and my friends. 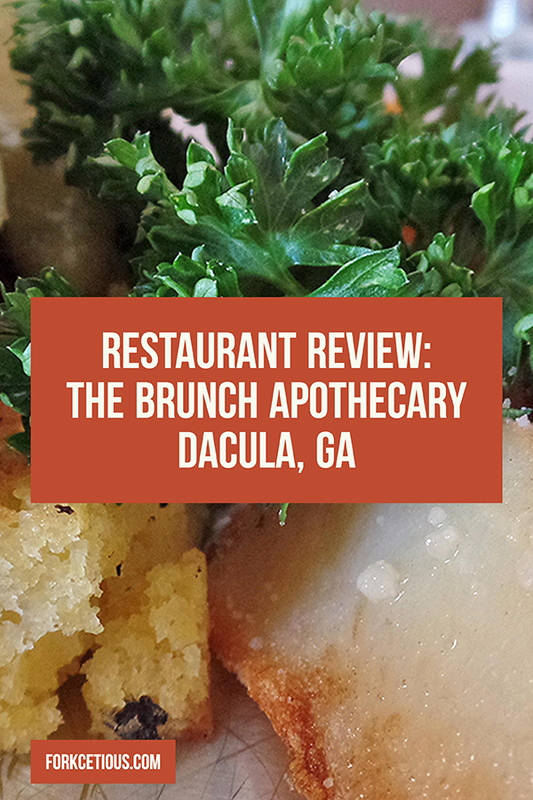 Well, experiences and places like The Brunch Apothecary prove that notion wrong. My mom and I had the chance to visit the restaurant last Sunday. 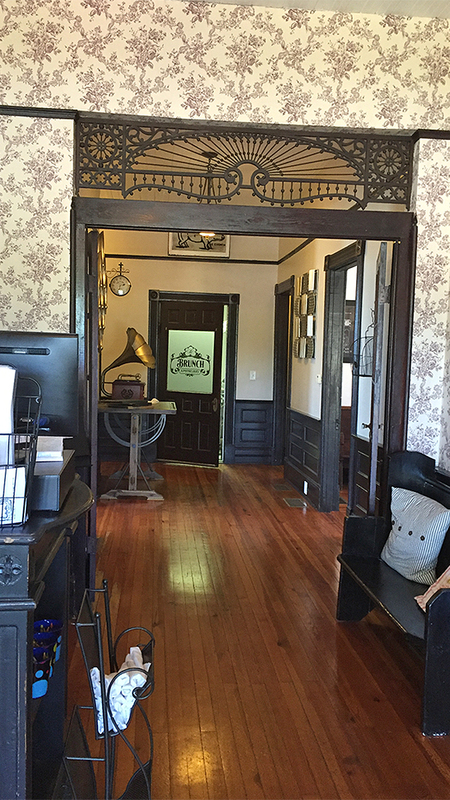 After the previous restaurant, Cafe 313, closed down, we were interested to see what would occupy the space next. 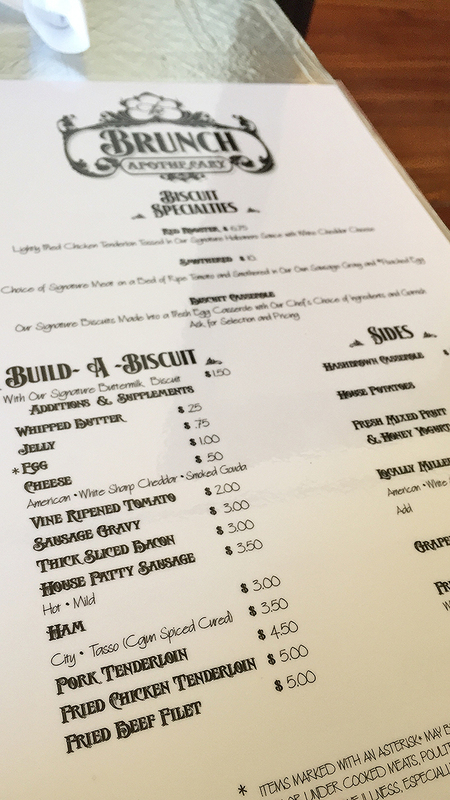 The Brunch Apothecary finally opened sometime in March and based on the lines we noticed in passing, we weren’t the only ones curious about the newest breakfast spot in Gwinnett. We arrived after church so it must have been close to 1 pm. I saw that they close at 2, so I hoped it that the crowd would have died down. I was wrong. There were a few parties ahead of us. Some waited outside at empty tables, thus giving the illusion that they were busier than we imagined. It’s all good, though. Our wait took a little less than 20 minutes as the earlier after church crowd began to head home. We sat down and began to look over the menu. 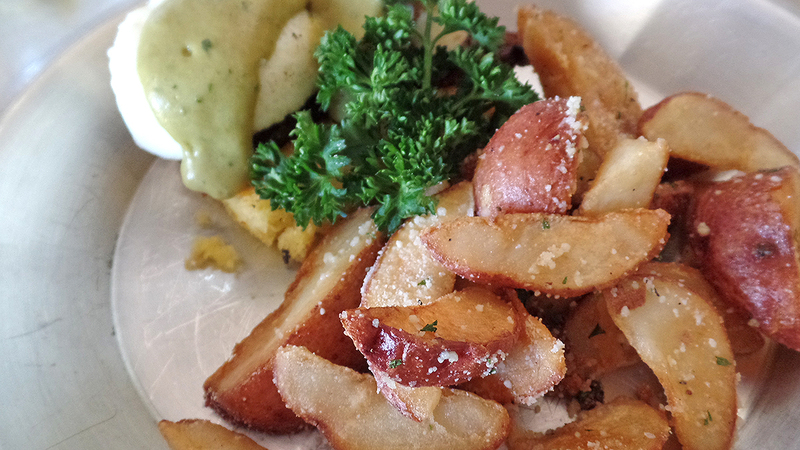 The Brunch Apothecary has quite a contemporary spin on most traditional breakfast options. For one, the ability to “build a biscuit” seemed conventional, yet novel. I could tell immediately that this wasn’t a repeat of a breakfast chain. My mom ordered several sides à la carte—bacon, a biscuit with butter and blackberry jelly, scrambled eggs with cheese, and grits. Something about the Pork Belly Benedict caught my eye. The pork belly, I’m sure. While we waited on our food, our drinks arrived. 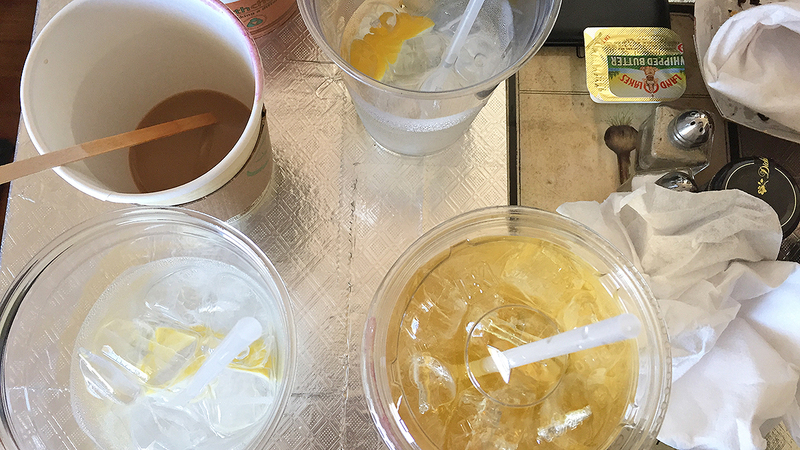 My mom ordered coffee, which we learned was the Community brand, and I ordered water with lemon and a cream soda + clementine-flavored Stubborn Soda. The soda was pretty awesome. It was lighter than your usual cream soda, but reminded me of the Boylan line. Our waiter, Anthony, suggested the collabo and I am glad he did. He also kept the refills coming which is what you always want at a restaurant. Okay, so to be honest, I wasn’t sure what I was getting myself into. I saw pork belly + corn pudding + potatoes and got excited. But this was really good. I know I say that practically all the time, but it was. I’m not afraid of pork belly. And I believe anyone that likes bacon shouldn’t be either. 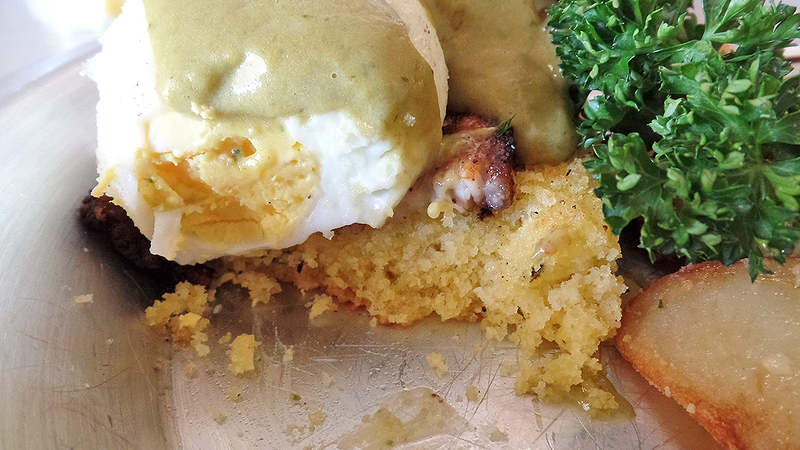 Taking a bite out of the poached egg w/avocado hollandaise sauce + pork belly + Poblano corn pudding created a Southwestern fusion that I consumed. 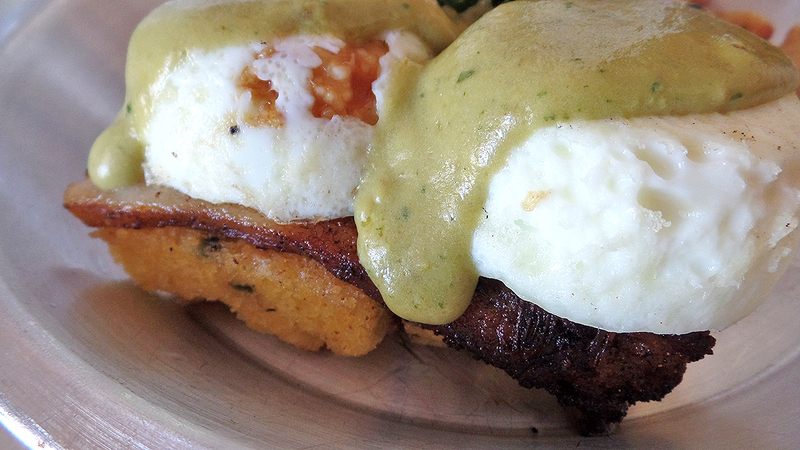 I tried to pace myself and equally devote time between the Pork Belly Benedict and the breakfast potatoes. But it was hard. 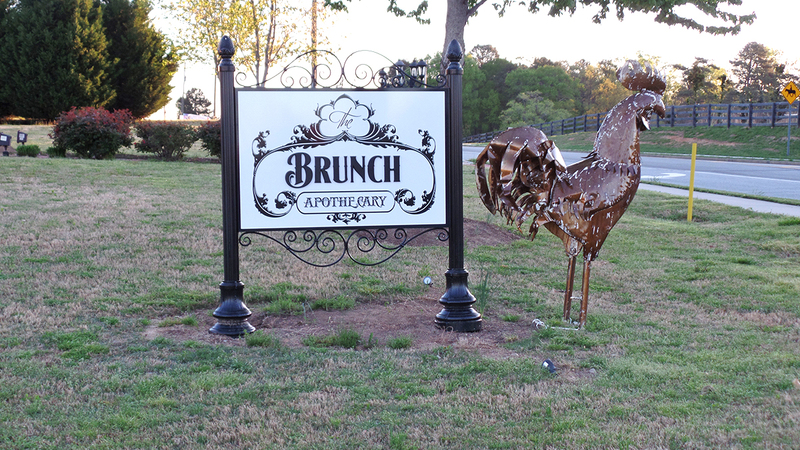 Gwinnett needed The Brunch Apothecary. Dacula needed The Brunch Apothecary. 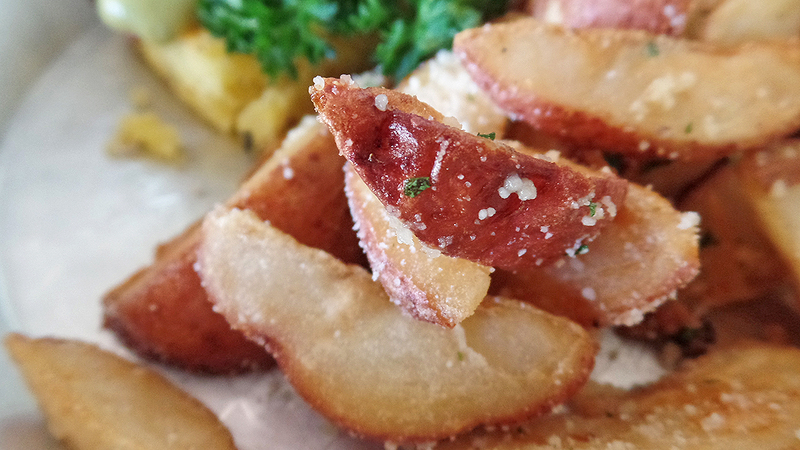 This restaurant breathes fresh, new life into the restaurant game here. Seriously. 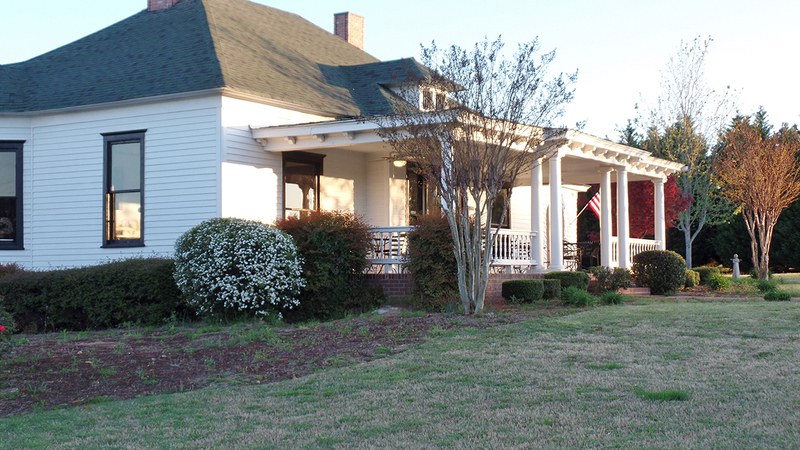 This is the type of place that’d easily find its way in the corner of some cozy Atlanta neighborhood (Reynoldstown is coming to mind, Brookhaven too), but yet, us citizens of Gwinnett County have been graced by its presence. So to Chef Rico Cunnington, thank you. Thank you. 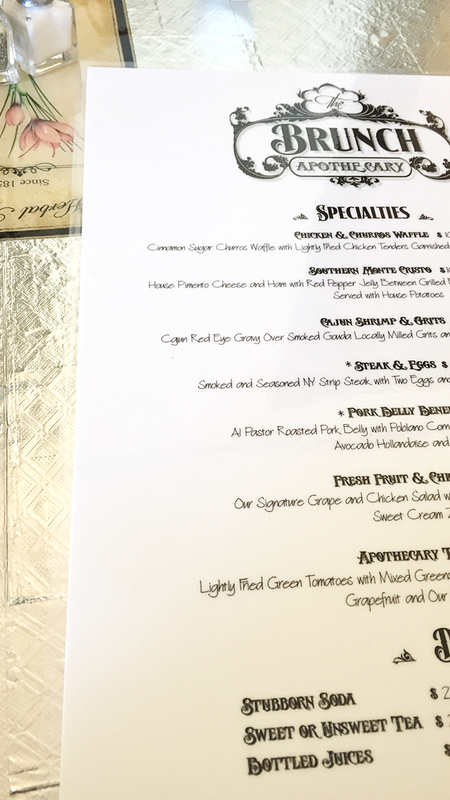 The service was on point, the food was great, and the overall experience was impeccable.